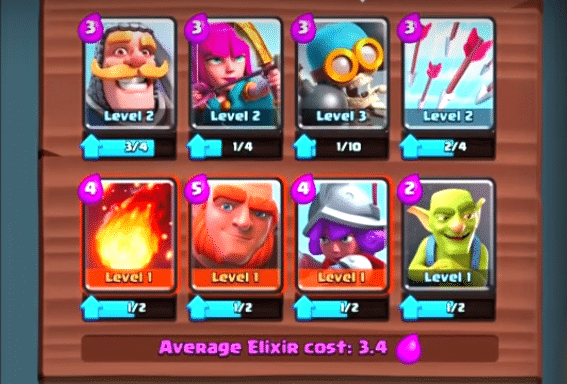 Clash Royale is the most popular card game after Hearthstone legend. 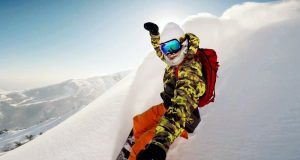 The game play diverse, which will test the player’s intellect and strategy. 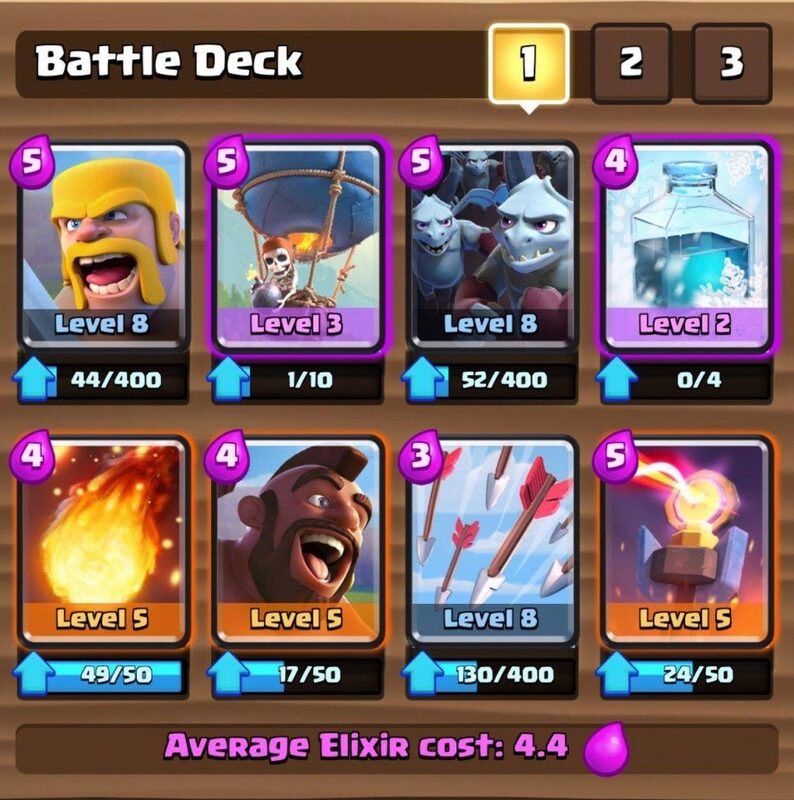 Especially for new players it’s good to have an idea over which decks and cards in Clash Royale are considered the best, the below are some of my personal recommendations for you. 1 – Knight – Use the Knight as a meat shield for smaller troops, as it has high hitpoints. 2 – Archers – Archers can make good damage to troops and can take out giant easily. 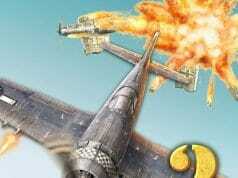 3 – Bomber – Can take out low hp troops with one bomb and is good troop because can take out group of troops. 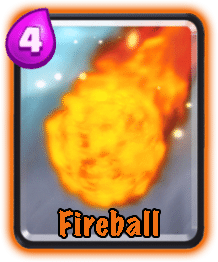 5 – Fireball – Can make good damage on towers and buildings , can take out barbarians. 6 – Giant – Have high hp and go directly to towers . Works Well with musketeer. 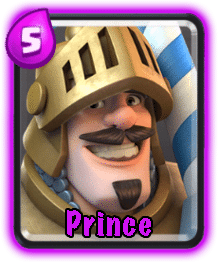 7 – Musketeer – Is good cards because with one shoot can take around to 150+ hp. 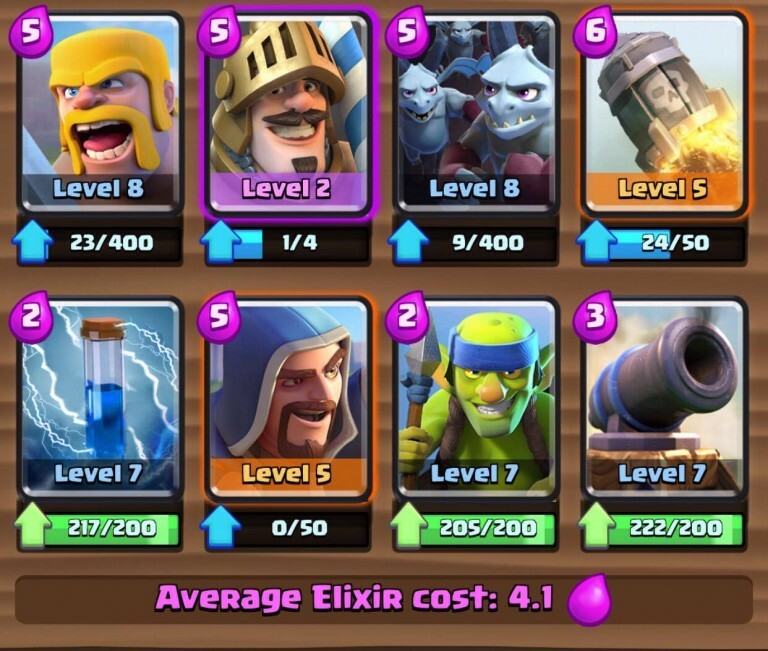 Pick 1 Defensive Tower or Elixir Collector. 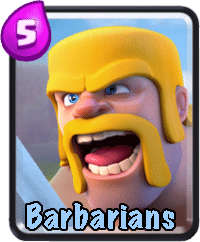 1 – Barbarians – 4 powerful barbarians who can take out large hp troops easy. 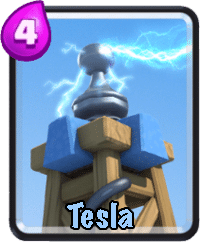 2 – Balloon – Is my favorite card because you can take the opponent tower fast if the balloon is alone at the tower. 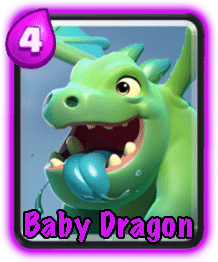 4 – Freeze – Is awsome card because freeze everything and works good with all cards of this deck. 5 – Fireball – Can take out troops who are on groups. 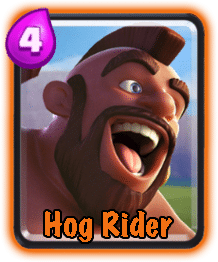 6 – Hog Rider – fast card and high damage on towers. 8 – Inferno Tower – Take out Large Hp Troops Easily. 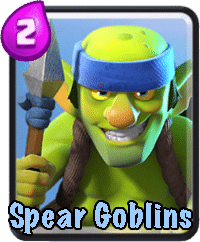 Use Minion Horde to bait Arrows, and then safely use Goblin Barrel or Mirror another Minion Horde. 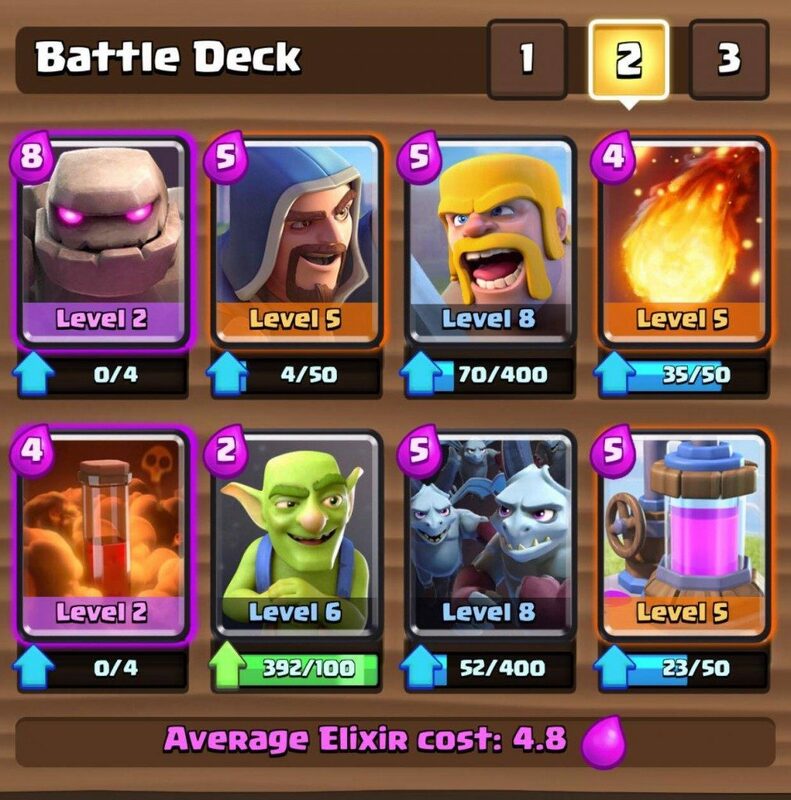 Use Goblin Barrel to bait Arrows, and then safely use Minion Horde or Mirror another Goblin Barrel. 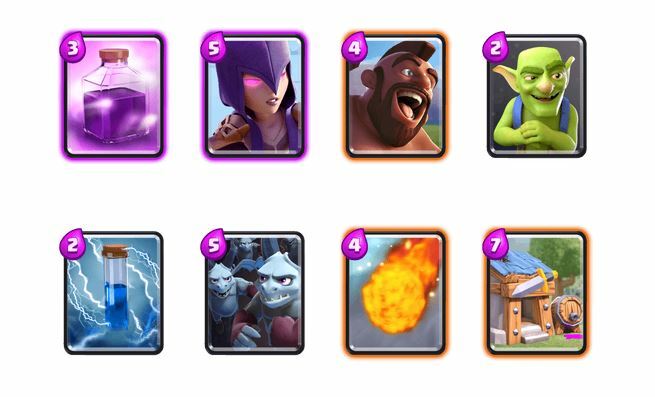 Use the powerful combo or Hog Rider with Goblins behind and Zap Spell, and then opportunity to Mirror another Zap Spell. 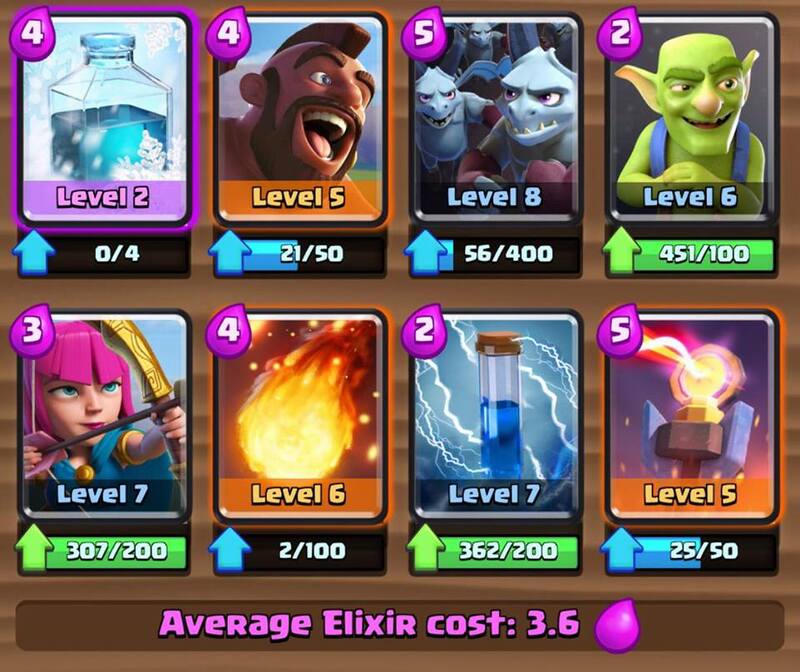 Use the powerful combo of Hog Rider with Goblin Barrel and either Zap Spell the incoming threat to deal additional damage or use Freeze Spell and watch the Arena Tower be easily taken down. Use double Fireball with the Mirror to finish off your opponent during over time! Use Inferno Tower to block their push. 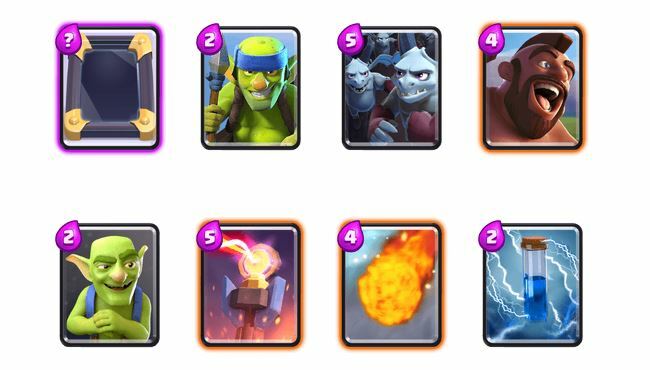 With Inferno Tower + Minion Horde + Goblins + Zap Spell, you have no worries against some of the biggest threats in the game: Pekka, Golem, Hog Rider, Princes, Giant Skeleton, etc. 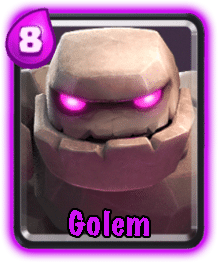 Royal Giant – The Royal Giant is one of the worst cards in the game. He costs 6 Elixir and is super slow and super weak. It’s awesome that he’s a ranged attacker, but that goes against his very decent HP. 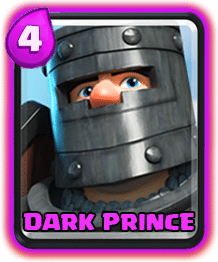 You can’t use your other ranged attackers behind him because the Royal Giant is going to want to stay behind all your troops. 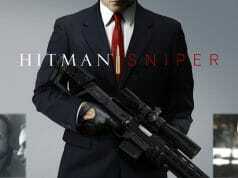 Not only that, he targets buildings, which is great but the problem is his DPS is just too low. 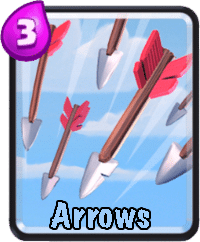 Three Musketeers – The Three Musketeers is one of the most powerful cards in the game, but at the same time it’s one of the worst cards in the game. And the reason for that is, it costs 10 Elixir to use. So basically you’re going to have to spend your whole Elixir on summoning three Musketeers. 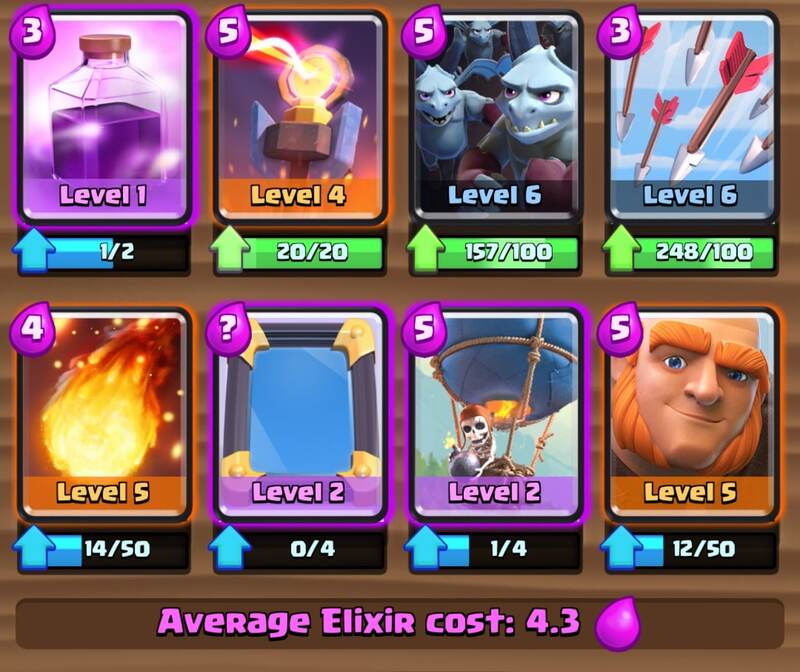 And all you have to do to counter them is simply throw one Fireball, which costs 4 Elixir. 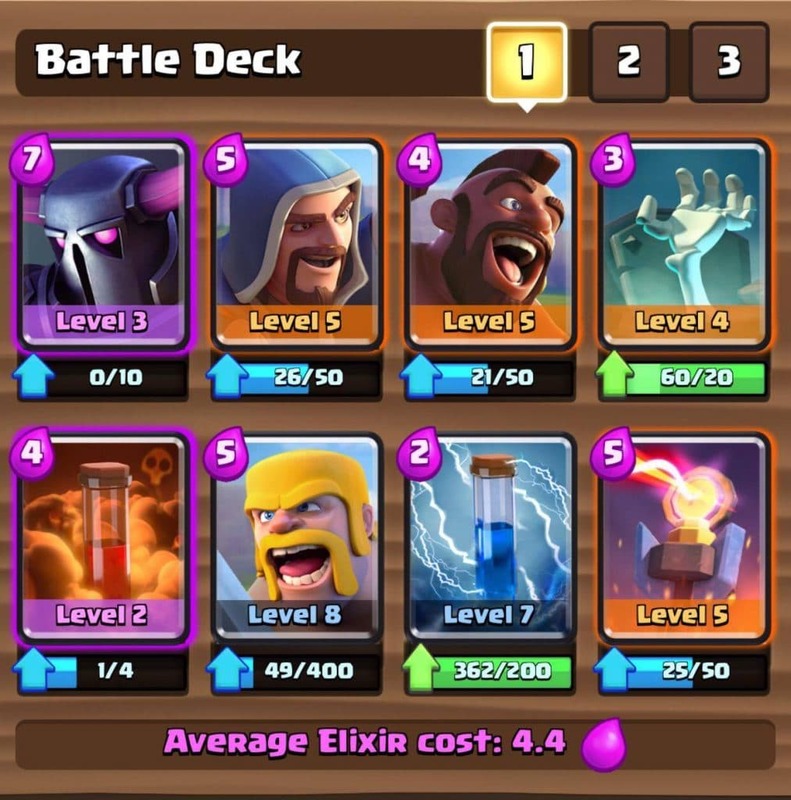 It’s just not worth 10 Elixir to summon 3 Musketeers. 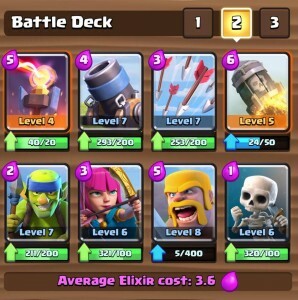 Skeleton Army – The Skeleton Army is a good defense, but is just a horrible offense and is also one-shotted by Arrows and the Zap Spell. It’s outclassed by the Tombstone and Barbarians. It gets one-shotted by every splash attacker. And with the assistance of your Arena Tower on defense, it’s just super easy to quickly stop a Skeleton Army. So yea, really not a card I’d invest my money on.